No, it’s not named after Batman. Much to my disappointment. 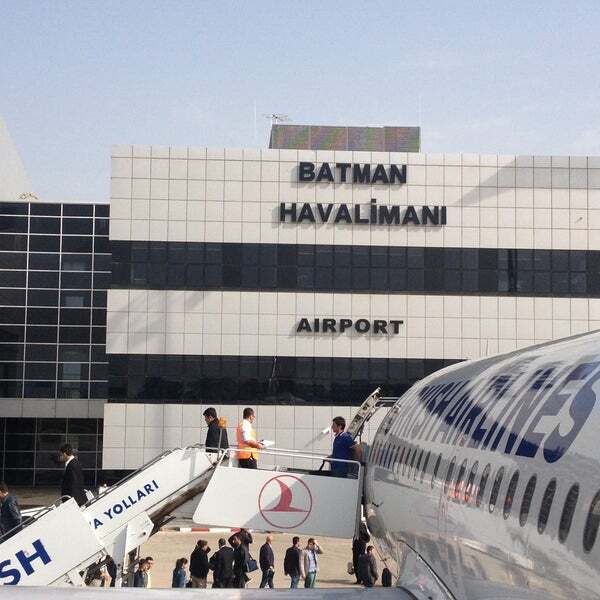 The Batman airport of Turkey is named after its location, the city of Batman. Which in turn is named after the river Batman, of this remote city of Turkey. Earlier named as Iluh, this little village in Turkey became a bigger province as recently as the 1950s. Although Batman, the DC Superhero was created well before the christening of this city, it doesn’t derive its name from the character. Nonetheless, the name carries swag! For the residents and travelers of this little city, they have the coolest addresses! 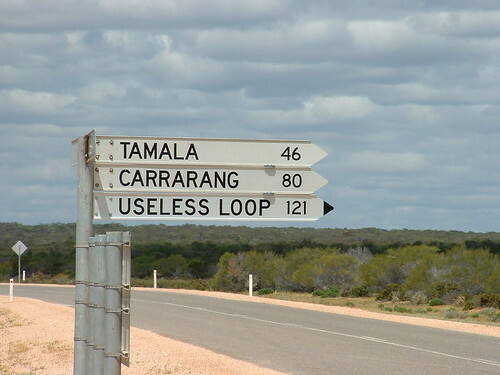 The Useless Loop Airport is named after the city it serves, called Useless Loop of course. Who even named their own town useless? Must’ve been quite disappointed with this place! On the contrary, the town generates a revenue of millions in salt production. History dictates, that the ‘Useless’ Part of the name was given to the town by a French explorer Henri Louis during an expedition to the island country. Funnily enough, he named the town useless as it was locked out by a sandbar. The most unique thing about the town, (yes, more unique than the name) is that it is closed company town. Which means it is home to just 70 employees and their families from the Solar Salt Operation of Shark Bay salt Pvt. Ltd.
Well, why this airport name has made it to the list, is self-explanatory. It’s funny and kind of sad for the people of the town this airport serves! 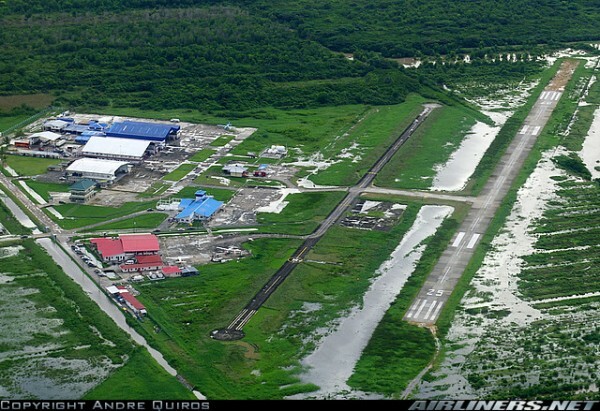 The FakFak Torea is an Indonesian airport that serves the town of FakFak. A significant port town in history, it is the seat of the FakFak regency. The small town hosts an equally small airport with just one runway at a height of mere 462 feet above the sea. Though beautiful, the town sure does have an unfortunate name, at least for the English speaking world! The name of this airport may sound daunting, but the island it serves is equally beautiful and enchanting. The Mafia Airport serves the island of Mafia in the Pwani region of Tanzania. Far off the Tanzanian coast, the island lies in the Indian Ocean. About 20 kilometers from the mainland. Little known tourist destination but incredibly gorgeous. This unique island derives its name from the Arabic word ‘morfiyeh’ meaning a group or archipelago. The Mafia archipelago consists of a large island and a few smaller ones. Interestingly, one of them is called the Chole Island. Funny nomenclature huh? This weirdly named airport is located in the small country of Burkina Faso in Western Africa. It serves in the town of Gorom-Gorom. Part of the Sahelian (region extending between the Sahara desert and the Southern African Savannah) region, this little town has quite a bit of trade importance in the African region. The name Gorom-Gorom literally translates to “you sit down, (and) we’ll sit down.” Just the name depicts its importance as an important crossroads in the region. While the name is weird to the ears, even funny to some, it serves as the identity of the place. Sounds scary, doesn’t it? Well. It may not be scary in the conventional sense but it definitely is a daunting place to live in. This epic-ly named airport serves a remote region of the world that goes by the same name. A small village with a mere population of 23! (According to 2010 statistics). The village, and consequently the airport, are named after the mercury mine discovered in the nearby mountains. Thus the name, red devil. Established way back in 1921, the mine is no longer operational. Though scantily populated, the village still remains and so does the Red devil (pun intended). I agree, this one is funny! What’s funnier is that it serves a town by the same name. Imagine having to list your address as Wee Wee. I mean, Wee Waa. Now that would be giving extra ammunition to bullies. Wee Waa is a town in New England region of New South Wales, Australia. The Aborigines people inhabited the rural town before European advent and settlement. And as such, the name. 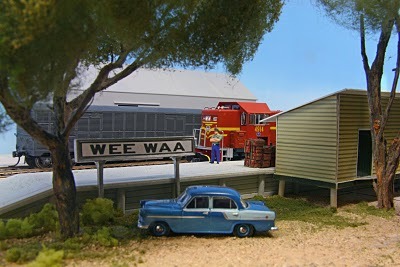 In traditional aboriginal language, the term Wee Waa means, “Fire for Roasting.” Why the ancients thought of naming the place as ‘fire for roasting’ is a mystery to me. But they sure did make it funny for their descendants. Wee!! While these few are just my favorite picks, there is a huge list of more such quirky, often funny names of airports. Including Wagga Wagga, Fort Dix, Old Crow, Gaylord, Woodie Woodie, Slave Lake, Battle Mountain and even a Red Devil airport. Each with its unique backstory.